From oil and gas and mining to construction and piling to beauty and lifestyle, DEL Communications provides print and online media for a wide variety of different fields. 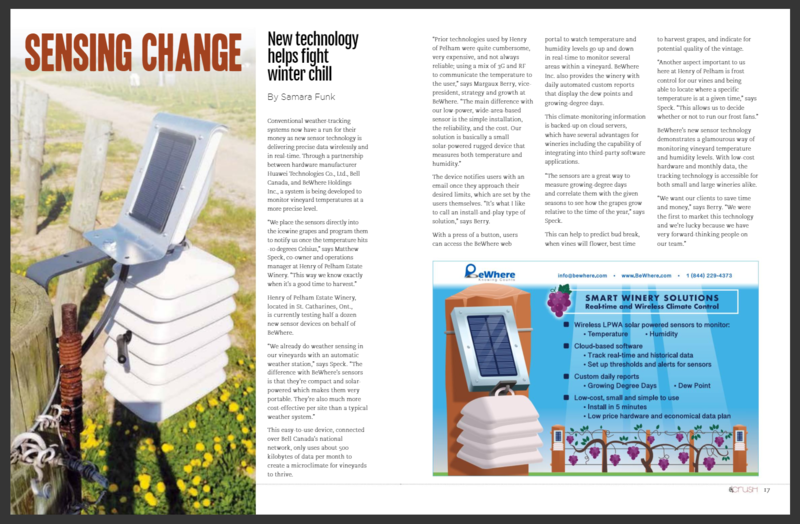 In this edition, DEL Communication conducted an interview of the Mobile IoT sensor manufacturer BeWhere Inc. and its winery client, Henry of Pelham Estate Winery; and describes how BeWhere’s technology is disrupting the wine makers traditional methods of monitoring their crops. View the magazine here: https://issuu.com/delcomminc/docs/crush_2018-2_web (article is on page 16-17).